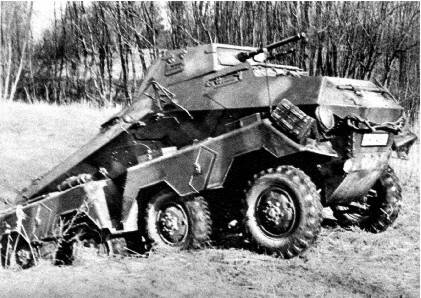 The Schwere Panzerspähwagen (heavy reconnaissance armored car) concept was first developed into several road wheeled vehicles tested at the secret Kazan proving grounds, in the USSR, following an agreement between the two countries. The first model developed as a series, following the interim Reichswehr Kfz.13, was based on a June 1929 specification asking for an armored car especially designed for scouting operations, with a good endurance, range and off-road capabilities. The first prototype was based on an eight-wheeled chassis, deemed to be too complicated for production -and too costly. A new vehicle was developed instead and mass-produced from 1932 to 1935 as the Sd.Kfz.231, a six wheeled vehicle with a completely armored sloped bodywork, armed with a full revolving turret housing a 20 mm (0.79 in) QF gun coupled with a Mauser MG 13 or, later, MG 34. It was basically a reinforced Büssing-Nag truck chassis, complete with the truck engine. Later on, a Magirus engine, slightly more powerful (70 bhp), was mounted instead. 123 were built in total. The radio version (Fu) was called Sd.Kfz.232 by the Waffenamt (28 built). But this model, popular for propaganda purposes, was nevertheless too heavy for its engine and off-road capabilities were rather limited. It was consequently dropped after June 1940 and phased out, joining various driver training schools. The poor performances of the first, “6-rad” (six wheeled) model led to a complete redesign by Bussing-NAG, with a eight-wheeled vehicle with fully independent steering wheels and a much more powerful engine. The Büssing-NAG 8×8 truck chassis was relatively complex and costly to build, each independent wheel being independently steered and suspended. In fact, when it was first produced in 1937, this was the most advanced armored car in the world. Although some features of the former chassis and sloped bodywork were loosely kept, the biggest change was swapping the positions of the driver and engine. This allowed better visibility and control for the driver, better protection for the engine in a roomier, fully separate compartment, and more fuel was carried. The seats for the commander and gunner were attached to the hand traversed turret, which was of hexagonal shape for added internal space, but the armament was identical. There was still a reverse driver/radio operator, but the extra pair of wheels made for a far better grip and the all-independent steering wheels gave an unprecedented level of maneuverability on all kinds of terrains. In all, the 8 rad was well received by the army reconnaissance units and began to replace its predecessor in some units. The chassis were built by Bussing-NAG, while Deutsche Werke of Kiel made the assembly of the pre-series and first series with Schichau (at Elbing). The first series differed by having the early vision hull-turret slots, the front and rear fenders extended down over the steering armored covers, and other details, as well as the early KwK 30 20 mm (0.79 in) autocannon and Mauser MG 13 machine-gun (replaced with the MG 34 after 1938). The later series included many minor changes, which included front/rear fenders extended with an angled upward kink. Even later series had shortened fenders, clearing the steering guards; but also new vision ports, an armored cowl over the rear engine hatch, an extra frontal 8 mm (0.31 in) of armor, or Zusatzpanzer (usually used as an extra storage bin) and, on some late models, a large folding anti-aircraft machine gun was mounted on the left side of the hull. The original KwK 30 was also replaced by a KwK L/55 autocannon, which had a muzzle velocity of 899 m/s. 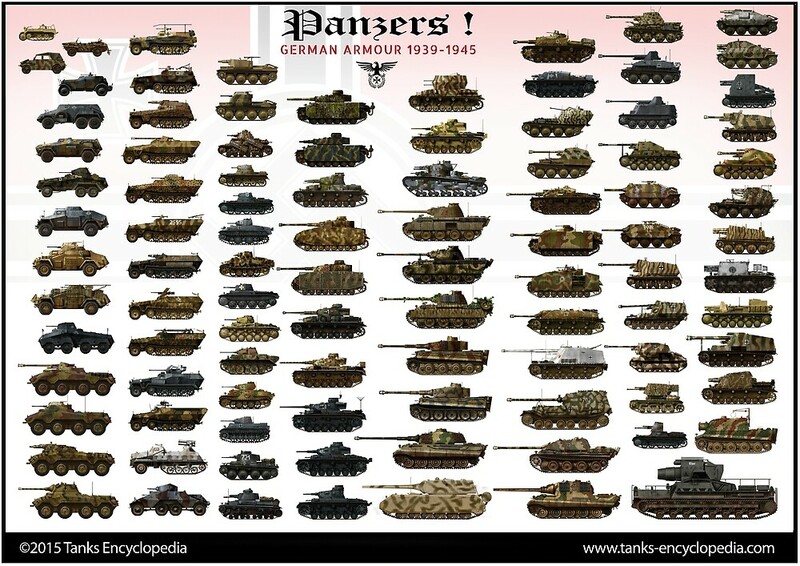 Besides this, these machines remained globally unchanged and formed the bulk of of any reconnaissance unit attached to each Panzer Division in terms of firepower. A total of 1235 were built by the time the production stopped in late 1942. The tactical role of these machines was to provide additional firepower, a squadron of these being attached to each motorized recce unit (Aufklärung Kompanie) attached to the Panzerdivisions. Other vehicles of these units included Kübelwagens and Schmimmwagens, Zündapp or BMW sidecars, Sd.Kfz.221 light armored cars and several other Schwere Panzerspähwagen. In each company, there was also a 232 variant equipped with a powerful long range radio. Later on, it became evident that heavier armament was needed inside each recce unit, and an artillery version was produced, the Sd.Kfz.233. Real antitank capabilities were also needed, which took the shape of the Sd.Kfz.234 and its own variants (1943-45). As an anecdote, it is known that, contrary to the usual practice of the German tank crews, crews of the recce squadrons often nicknamed their vehicles and painted these on the hull, along with some personal drawings. A visual testimony that discipline was somewhat more lax in these separate, independent units. The 231 and the 232 radio-version were introduced before the campaign of Poland and soldiered until the end of the war. They were seen on nearly every front, from the Mediterranean to Russia, North Africa and most of Europe. With the DAK (Deutsche Afrika Korps), they proved invaluable, fitting perfectly with Rommel’s combined arms tactic and unique vision of desert warfare. The flat ground of the wide desert expenses allowed this armored car to achieve its full potential, although it wasn’t prepared for the hot environment and never properly “tropicalized”. The engine, notably, suffered badly under this climate. The same success story unfolded during the early part of the offensive in Russia, especially in the Ukrainian steppes during the spring/summer 1942 advance. Since the original armor was never intended to sustain more than small arms fire and shrapnel fragments, the platoons tried to evade clashes with other AFVs when possible. 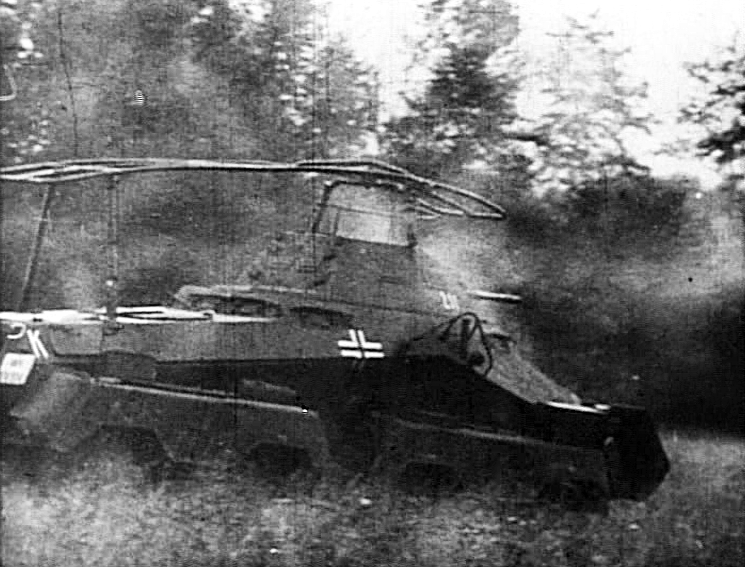 However, in many cases, these machines were seen providing infantry support and destroying light tanks and enemy armored cars alike. Speed, combined with surprise, could bring very efficient results thanks to the rapid-fire and devastating HE rounds of the 20 mm (0.79 in) at short range. Their superior agility also helped them to steer backwards and quickly evade superior forces if needed. In other cases, many served as ad hoc police patrol vehicles, dealing with partisans in the Balkans and Russia. 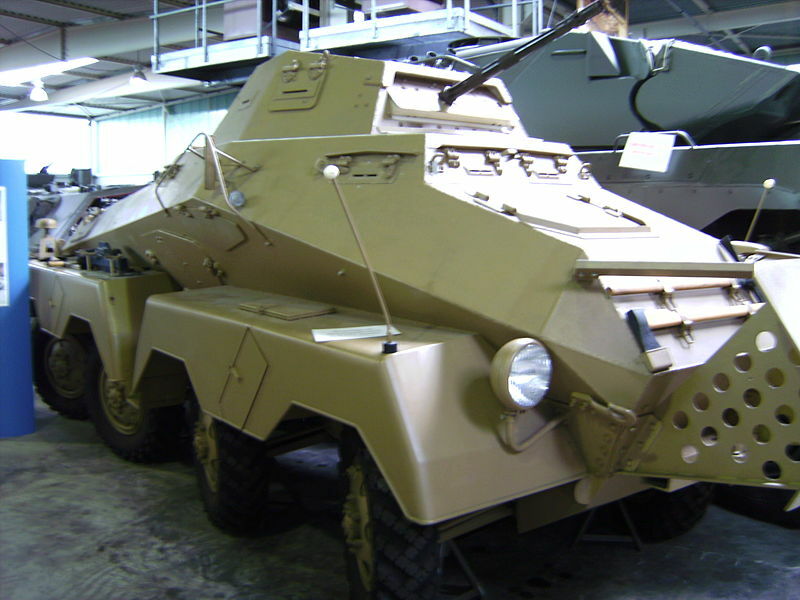 This variant was produced alongside the “regular” model 231, as a command-radio heavy armored car, registered with the Waffenamt as the Sd.Kfz.232 Fu (Funkapparat) 8-rad. These vehicles, conceived by Deutsche Werke of Kiel, were produced by Schichau parallel to the early and late series. They were identical, only differing by their tall “bedstead” frame aerial antenna, fixed with pivots on the turret, thus allowing it to rotate freely. This was a long-range antenna, providing liaison with the HQ, up to a hundred miles away. Total numbers are elusive. Since a heavy armored car platoon counted six vehicles, at least one of them was a radio version, which gives an estimate of 250 vehicles. Production stopped by September 1943, but by then they were upgraded with a more discrete and compact pole wire aerial antenna. This late model, called by the Waffenamt the Panzerspähwagen mit 7.5cm StuK L/24, and nicknamed “Stumpy”, was closely based on the 231/232 series, but the turret was now replaced by a fixed, open-top barbette, housing a short-barreled 75 mm (2.95 in) KwK 37 L24. This howitzer versio, firing HE shells, was devised in late 1942 by Büssing-Nag, after recce units of the Wehrmacht complained about the lack of self-propelled heavy support in many engagements. Only 109 were built by Schichau between December 1942 and October 1943. They were issued as a platoon of six vehicles in support of reconnaissance battalions. Tactically, they were fast enough to keep the pace of well-advanced reconnaissance columns and provided efficient and fast artillery support when and where it was most needed. Although the gun had a very limited traverse, the complex steering was used at its best by the driver to aim the hull itself quickly and precisely, making this variant a much more capable SPG than the usual tracked vehicles. The Panzefunkwagen 263 was one of the command vehicles “most wanted” by any general during the war, due to its speed and off-road agility. One of these was Rommel’s personal vehicle. This was basically a model 232 with a modified “bedstead” antenna, with the turret replaced by a fixed, large superstructure housing a single MG 13 or, later, MG 34 machine-gun. Roomier, it was especially designed at the very beginning of the 231 series as a mobile HQ for small units. Production started in 1937 and stopped in late 1943 (716 or 928 units produced in total, depending on the source), in parallel with the regular Sd.Kfz.231/32 versions. Frequently associated with the “Puma” name, which in fact was only an unofficial nickname of a sub-version, this series counted an entire array of vehicles, based on a brand new chassis, first designed in 1942. The Sonderkraftfahrzeug 234 had a brand new, redesigned hull, a reinforced monocoque chassis, reinforced, which allowed an increase in protection. All came from a wartime specification after the campaigns in Poland, France and early experience in Africa. Bussing-NAG conceived the chassis, but parts and final assembly was performed by three other companies. The 234/1 had a 20 mm (0.79 in) autocannon, but the 234/2 (“Puma”) was equipped with a deadly 5 cm (1.97 in) KwK 39 L/60 in a brand new turret. The 234/3 was a SPG, and the 234/4 was a “Pak-Wagen”, accomodating a Pak 40 7.5 cm (2.95 in) 46 caliber antitank gun. Only 478 Sd.Kfz.234 were built until March 1945. Sd.Kfz.231 (early type) Berlin, September 1937. There is little photographic evidence that the first production has been camouflaged in the usual three-tone camouflage pattern of the time. Early type Schwerer Panzerspähwagen 232 (Fug) 8-rad, reconnaissance unit attached to the 4th Panzerdivision, Invasion of Poland, Warsaw sector, September 1939. Sd.Kfz.231 attached to the 13th Panzerdivision, in the Caucasus, November 1942. This one is summarily painted in Braun RAL 8020. Sd.Kfz.231 from the Panzer-Aufklärungs-Abteilung 13 (13th Panzerdivision) Dniepr sector, summer 1943. Sd.Kfz.231 (8-rad), SS Aufk.Abt.3 SS PanzerDivision “Wiking”, Heeresgruppe center, early 1943. Sd.Kfz.231 of the SS Aufk.Abt.2, Panzerdivision “Das Reich”, Normandy, June 1944. Sd.Kfz.232 from the LSSAH (SS reconnaissance unit), Greece, April 1941. Sd.Kfz.232 (8-rad), 5th Leichte-Division, attached to the 3rd Panzerdivision, Agedabia, Libya, April 1941. Sd.Kfz.232 (8-rad), Ausfklärungsarbeitung unit of the SS Panzergrenadier Division “Das Reich”, Kharkov sector, March 1943.